Selling off road race car and hauler. Legal in MAORA class 10 and other series. 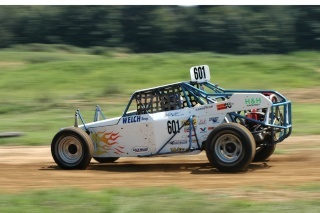 No longer legal in TORC, MORR, LOORRS super buggy/pro buggy. 220hp Honda B series engine - several carbs and intakes, Hondata EFI system. 1800#, 7' wide, five speed sequential shift dog engagement transmission, inboard brakes, 18" of suspension travel front and rear. Includes enough spare parts to build another car or two. Also selling hauler - 1987 GMC 7000 medium duty truck, 427 big block chevy, about 210k miles. 24 foot box, front portion is an RV with bunks, shower, fridge, microwave, and sink, rear portion large enough for the race car. Honda 4000 watt quiet generator, 3hp air compressor. Holds 250 gallons of water, tons of spare parts, toolboxes, etc. Serious inquiries only. 815 six three nine nine one eight three. Skunk2 Alpha throttle body w/o sensors – new? 1	front shock with springs – leaks? all terrain with bad bead? 5	pair weld in frame couplers 1.5” x .095”?